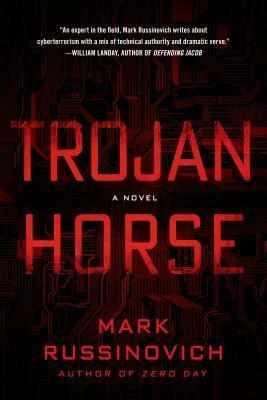 The West is under its greatest threat yet in Mark Russinovich's Trojan Horse. A revolutionary, invisible computer virus that alters data without leaving a trace--more sophisticated than any seen before--has been identified within the computers of the United Nations, roiling international politics. Cybersecurity analysts Jeff Aiken and Daryl Haugen are summoned to root it out and discover its source. As the virus penetrates Western intelligence, and the terrifying truth about its creator is revealed, Jeff and Daryl find themselves in a desperate race to reverse it as the fate of both East and West hangs in the balance. MARK RUSSINOVICH works at Microsoft as a Technical Fellow, Microsoft's senior-most technical position. A cofounder of Winternals, he joined Microsoft when the company was acquired in 2006. He is author of the popular Sysinternals tools as well as coauthor of the Windows Internals book series, a contributing editor for TechNet Magazine, and a senior contributing editor for Windows IT Pro Magazine. His first Jeff Aiken novel, Zero Day, was published in 2011. He lives in Washington State.